» Click to download full size image. 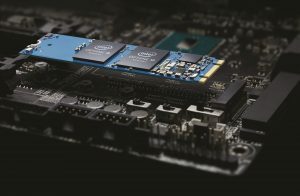 Intel® Optane™ memory, announced in March, is available to purchase at a variety of computer component retailers today. With the increased speed and responsiveness of Intel® Optane™ memory in a 7th Generation Intel Core processor-based system, users can do more with their system, without sacrificing the value and capacity of a hard disk drive. 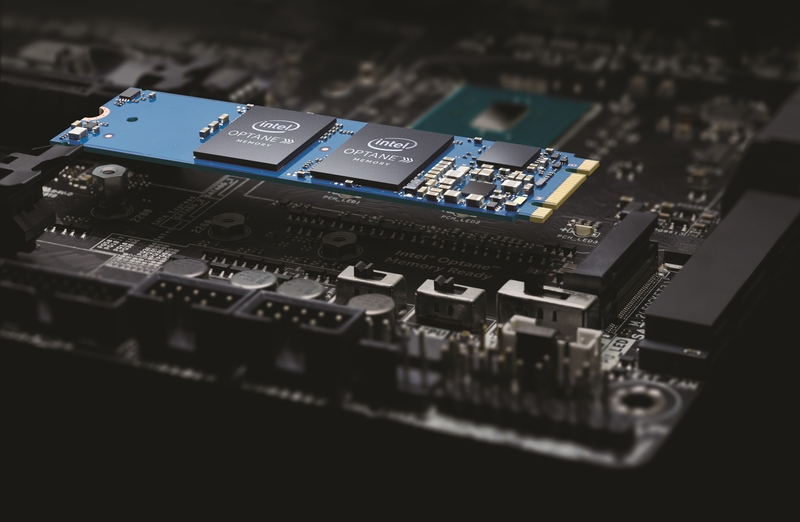 Among the benefits: Intel® Optane™ memory enables web browsers to launch up to 5x faster than a hard disk drive.1,2 Games and levels will load faster too – up to 67 percent faster game launch and up to 65 percent faster level load, keeping users in the game.2 Even everyday tasks, like launching productivity apps including email clients, launch nearly 5.8x faster.2 And, because it is smart and adaptable, Intel® Optane™ memory adjusts to your computing habits with intelligent software that learns your computing behaviors, making everything you do faster, smoother, easier. Intel® Optane™ memory module is on sale now as an add-in component in 16GB (MSRP $44) and 32GB ($77) capacities. OEM systems with Intel® Optane™ memory installed will be available later in the year. Visit the Intel® Optane™ memory product page to learn more about accelerating your PC. 1 Software and workloads used in performance tests may have been optimized for performance only on Intel microprocessors. Performance tests, such as SYSmark* and MobileMark*, are measured using specific computer systems, components, software, operations and functions. Any change to any of those factors may cause the results to vary. You should consult other information and performance tests to assist you in fully evaluating your contemplated purchases, including the performance of that product when combined with other products. For more complete information visit http://www.intel.com/benchmarks.